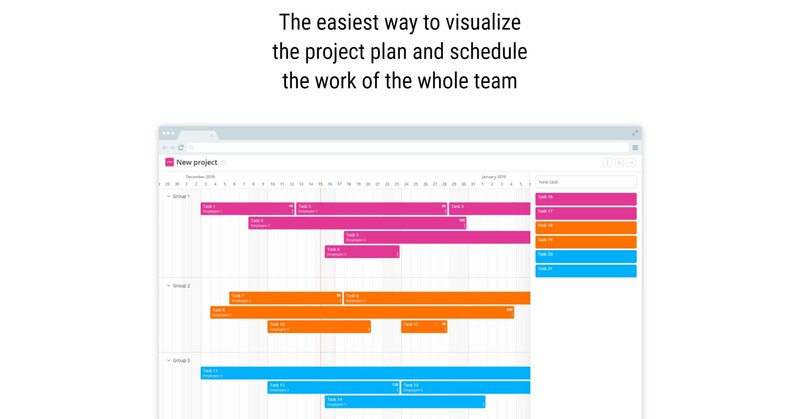 Plan projects faster and clearer. Blesk.io is the easiest way to visualize the project plan and schedule the work of the whole team. Create a plan for your project. Divide the project into stages, tasks and place them on the timeline. Specify the scope of tasks and assign employees. Share the link to the project with your colleagues and clients. Plan several projects at once. Display all projects on one screen and create a work schedule for your team so that all work is done on time and without overloading.